Conveniently placed amidst the Potteries in the heart of Stoke-On-Trent, this iconic 3 star Victorian hotel is renowned for its commitment to customer satisfaction. Less than 15 minutes from Junction 15 off the M6, with free Wi-Fi and an abundance of on-site amenities. 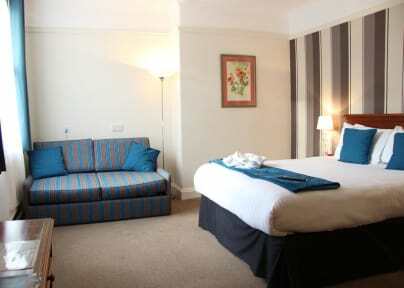 Guest accommodation at the Quality Inn Stoke-on-Trent is stylishly appointed with the emphasis on comfort. Our 135 guestrooms including double single, twin, triple and family room, are all ensuite. Facilities at the hotel include a restaurant, health club and spa, business facilities, Wi-Fi and much more. 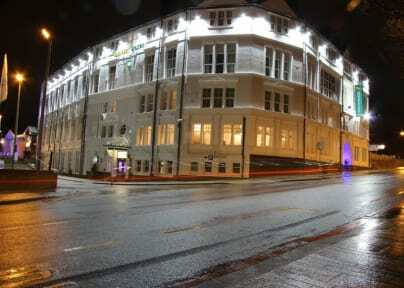 This Hotel is Eco Friendly, using both Biomass and Solar energy. Cancellation policy is by 16:00 on the day of arrival. If cancelled later or in case of no-show, the full amount of the first night's stay will be charged. Early check-in is available from 11.00am, and is charged at £10.00 per hour until 3.00pm. Late check-out is available from 11.00am until 3.00pm, and is charged at £10.00 per hour. Payment accepted by debit or credit card: American Express, Visa, Maestro, Euro/MasterCard and Switch.